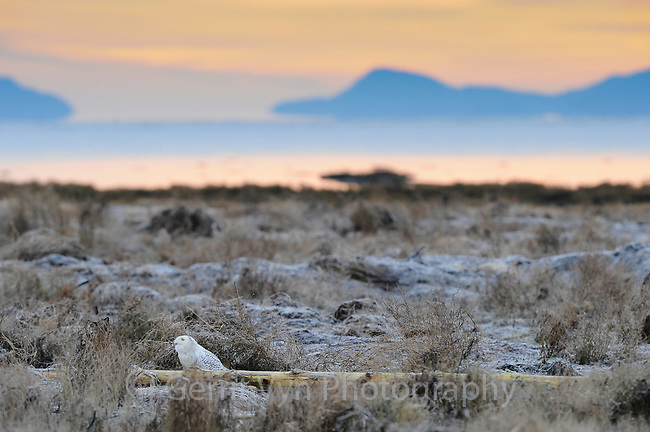 A Snowy Owl (Bubo scandiacus) hunkered down on the shores of Boundary Bay watching a Bald Eagle fly overhead. Vancouver, British Columbia. January.